Show your thanks with a ready-to-go, beautifully packaged gift. 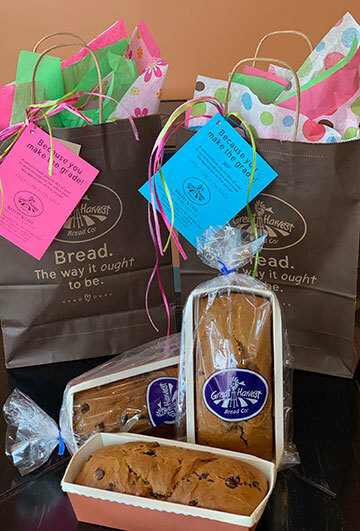 Purchase our special teacher gift bag and fill it with your favorite breads & goodies. A FREE lunch coupon for teacher will be included with your gift.